The BBC reported that Amina Ali Nkeki was located Sambisa close to the border with Cameroon. An activist with the group Bring Back Our Girls reported that the 19-year-old has been reunited with her mother. An uncle told the Associated Press that her father died while she was in captivity. The uncle also described the young woman as pregnant and traumatized. 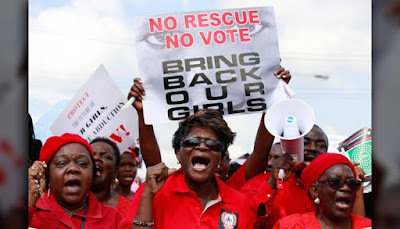 The terrorist group Boko Haram took 276 schoolgirls from their school dormitories in Chibok, Nigeria, on the night of April 14, 2014. Though some escaped, more than 200 are still missing. The kidnapping of the schoolgirls in Nigeria created an international furor, with celebrities and world leaders calling for their return. The latest proof of life video of the girls was broadcast by CNN in April. Boko Haram, a group that purports to believe in a strict form of Islam that shuns Western education, has terrorized northern Nigeria and surrounding countries. About 20,000 people have died and an unknown number of people have been abducted during Boko Haram's seven-year insurgency. The government's inability to bring back the Chibok girls contributed to the electoral downfall of President Goodluck Johnathan in 2015.